Welcome! Interested in starting a "Talking is Teaching: Talk, Read, Sing" campaign or enhancing an existing early brain and language development effort in your community? 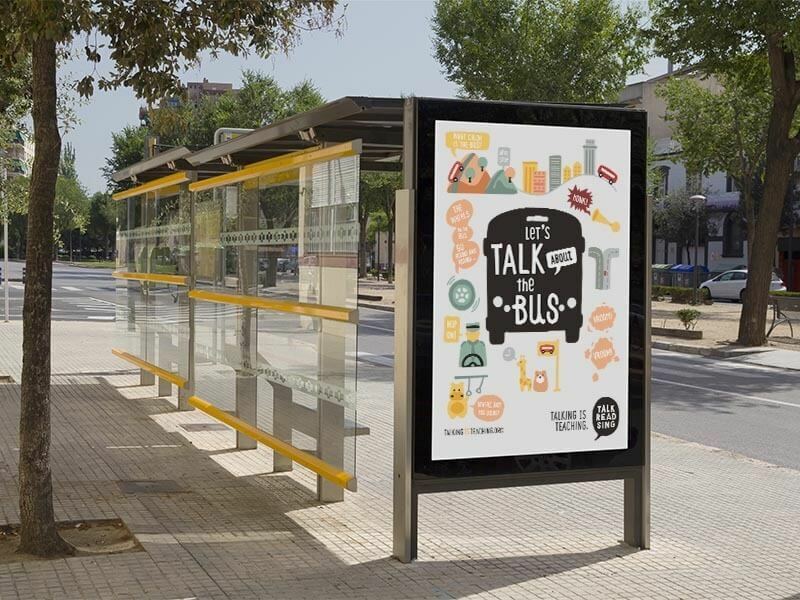 Sign up to access our Talking is Teaching Communities website, with lessons learned from our local campaigns, information on our place-based strategies, creative assets, training materials, tips for parents, research and more. We hope these resources will serve you well, and are truly grateful to you for joining this effort. Thank you for signing up. Please check your email for a confirmation link. What's the Talking is Teaching Campaign? “Talking is Teaching: Talk, Read, Sing” is a public awareness and action campaign that aims to motivate parents and caregivers to talk, read, and sing more with their young children from birth.The campaign partners with trusted messengers to share information with parents about the critical role they play in their child’s development, as well as concrete tools to help them engage in language-rich activities with their children. Paid and social media efforts reinforce that simple actions – like describing objects seen during a walk, singing songs, or telling stories – can significantly improve a baby’s ability to learn new words and concepts. Watch the video to learn more about our pilot campaigns in Tulsa and Oakland and sign up to start a campaign in your community. 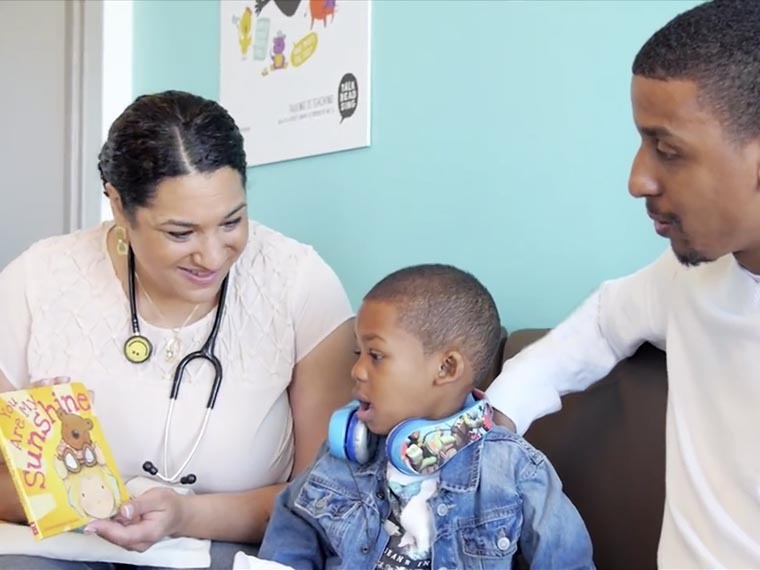 Explore and download all of the tools we've developed to reach families where they are, from the pediatrician's office to the playground. Find out how to best use our designs in your community and then download our creative assets for free. Get up to speed on the campaign, its strategies and messages with our training handouts, presentations and videos. 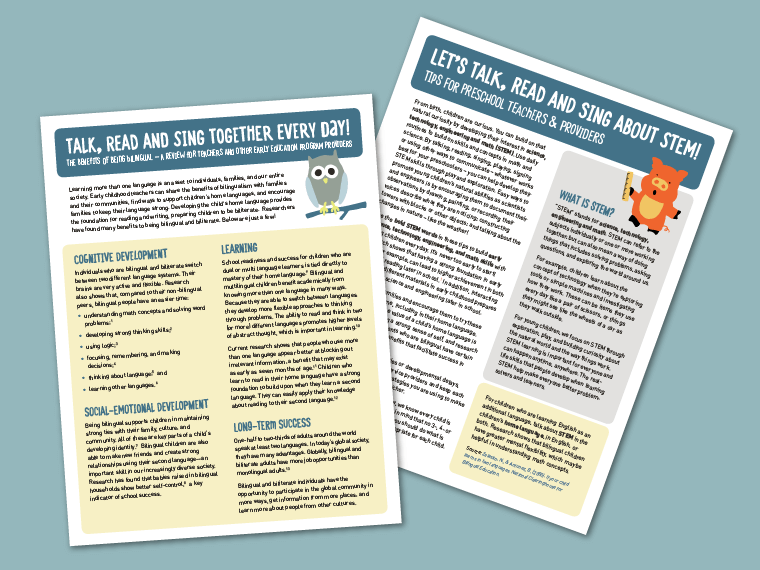 Get engaging tip sheets, creative products, and more designed specifically for parents and caregivers. 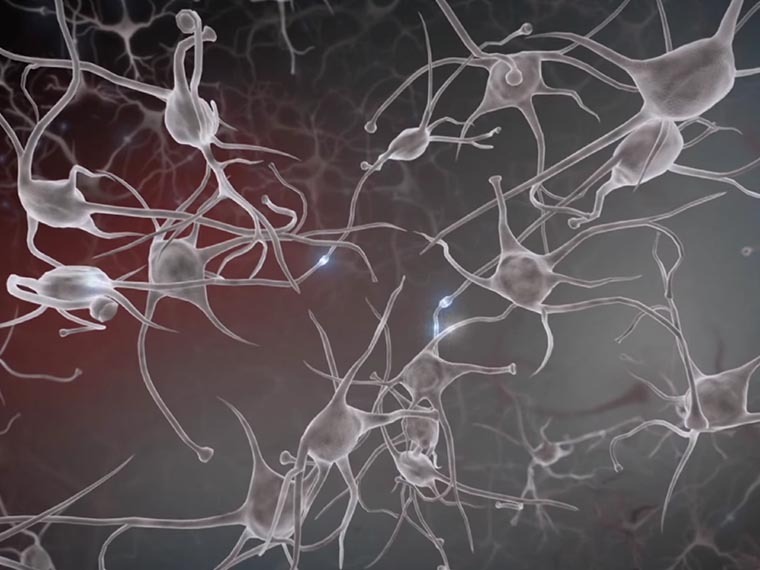 Learn more about early brain and language development with this selection of key studies on the issue. Learn more about all of our local Talking is Teaching campaigns across the county. Are you interested in creating or enhancing a campaign in your community?